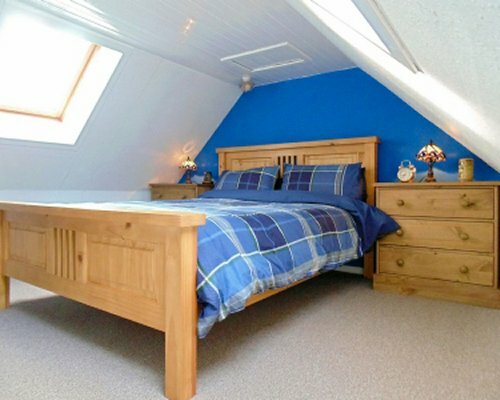 You are just a short walk from the village amenities including the shop, cafes, bars, restaurants and historical sites. 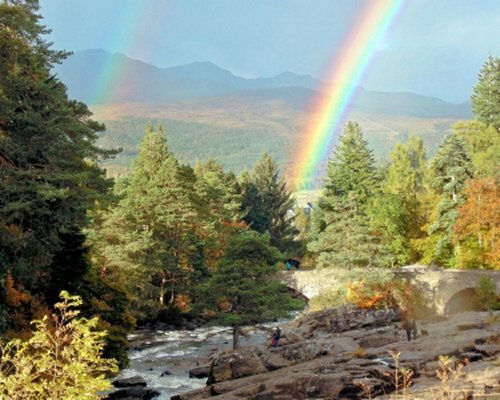 Killin is a popular destination for outdoor activities, whether you like mountains to climb or leisurely country walks, the Rob Roy Way passes through the village. 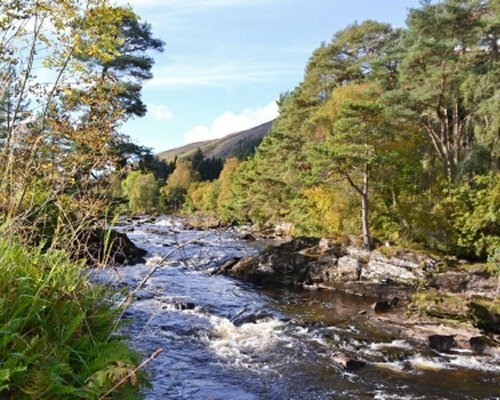 With salmon/trout fishing, water sports, mountain biking or cycling along the many lanes and cycle paths, there is something for everyone. 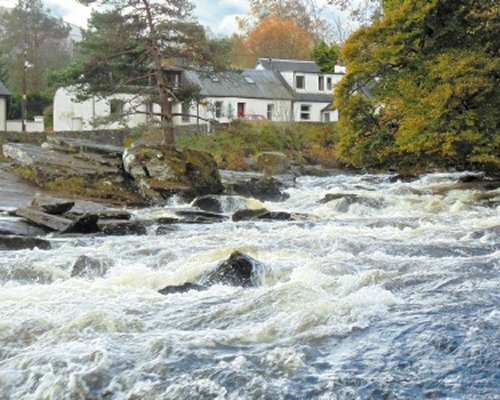 One of only eight cottages overlooking the scenic Falls of Dochart, Gracedieu is a traditionally built terraced cottage dating back to the 1700s with a cosy open fire, many original quirky features and views of Dochart Bridge which dates back to 1760. 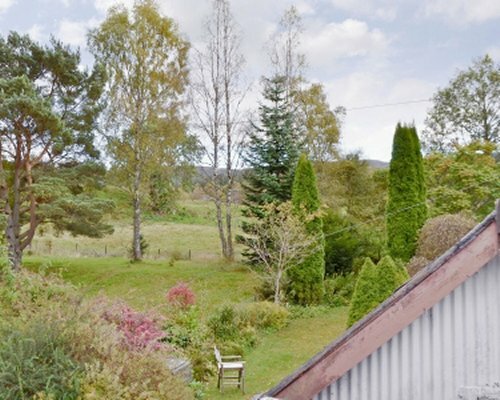 The rear of the garden was originally the old railway track with the sleepers still in place and neighbours open countryside. The garden room has been converted from the old bothy, dates back to the 1700s and is perfect for you to open the double glass doors on a warm summer’s night. This area is steeped in history with the Killin Stone Circle and Finlarry Castle and Chapel. 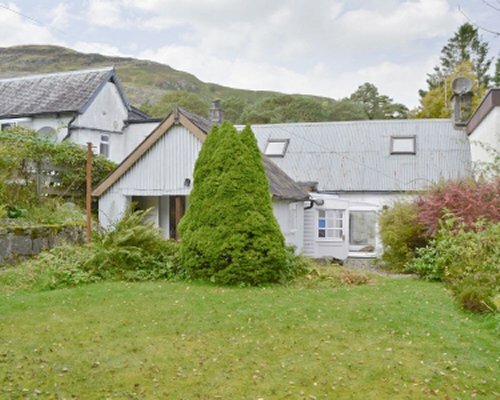 The enclosed rear garden is the perfect place to relax and enjoy magnificent scenery with wonderful views of the Tarmachan Ridge and Ben Lawyers. Loch Tay is on Killin’s doorstep, only a mile away. 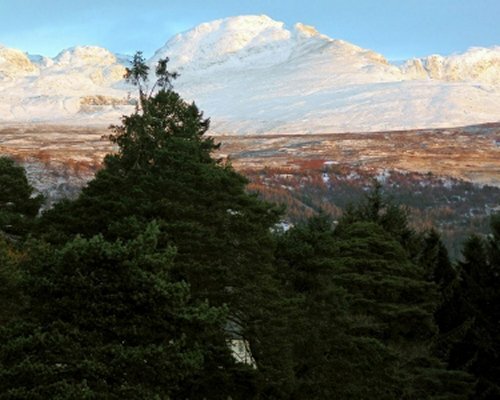 Visit Crianlarich, 13 milers, Callander, 21 miles, Stirling, 37 miles, and Perth, 43 miles. Travelling from the South, follow the A84/A85 from Stirling. Travelling from the East, follow the A85 from Perth. Turn right onto the A827 signposted for Killin at the Lix Toll junction. 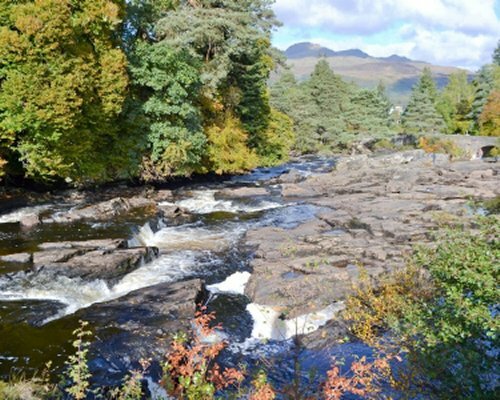 On entering Killin, follow the road past the War Memorial after which &ldquo;Gracedieu&rdquo; can be found on the right hand side approximately 100m before the Dochart Bridge. 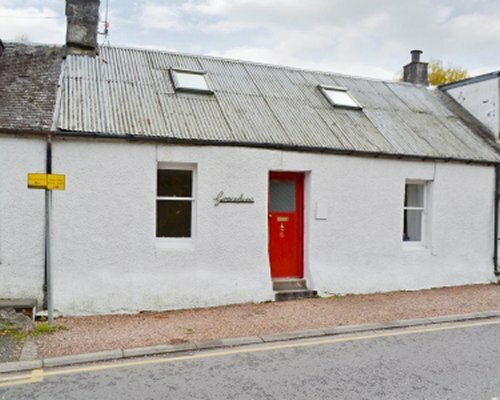 Travelling from the North via Aberfeldy on the A827, drive through the village and over the Dochart Bridge. Gracedieu is found about 100m along on the left hand side.